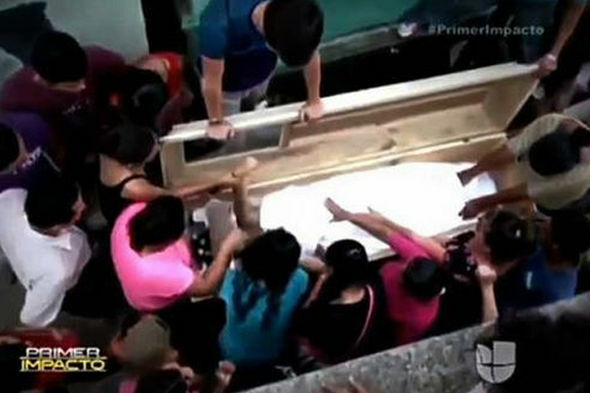 This is the horrifying moment a dead teenager’s coffin is opened, after noises were coming from inside her tomb. Neysi Perez, 16, was declared dead after suffering a heart attack caused by the sound of gunfire near her home in La Entrada, Honduras, The Mirror reports. But after her friends and family buried her there were fears that Neysi, who was pregnant when she died, had been buried alive and had woken up in the coffin. 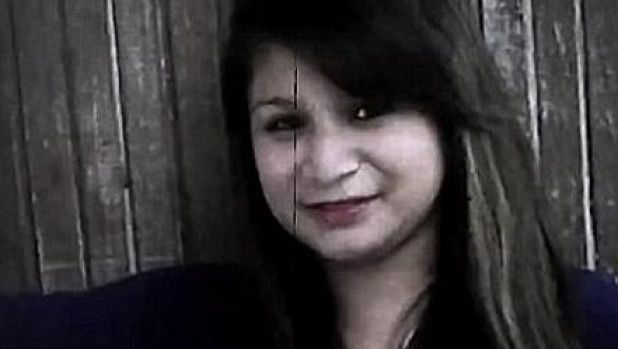 The girl’s boyfriend, Rudy David Gonzales, insisted he could hear noises coming from her tomb when he visited the next day and when he urged cemetery worker Jesus Villanueva to check it out, he said he could also hear noises too. The girl’s family tried to get the tomb opened as soon as possible, by smashing it open with a sledgehammer. But by the time they managed to get to her it was too late. The girl’s body was rushed to hospital, but afters doctors desperately tried to revive her they eventually confirmed she was dead. The doctors suggested that the noises may have been a figment of the boyfriend’s imagination, but evidence suggested that this may have not been the case. It appeared that the girl’s knuckles were scratched and a glass panel at the top of the coffin was broken when it was pulled out of the tomb, which led mourners to believe Neysi had attempted to break through it. Local media reports that Neysi may have suffered a cataplexy attack, a severe form of panic attack brought on by extreme stress, which leads to muscle paralysis and a temporary loss of heart beat. Our thoughts are with Neysi’s friends and family during this extremely difficult time.